In Maikop, the capital of Adygea, at least 3000 believers attended an open-air collective namaz (prayer) on the occasion of Uraza-Bayram, said Eldar Cheuzh, one of the organizers of the event. Tourists could not only watch the festive prayer, but also take part in it. This year, the celebration of the Uraza Bayram (Eid al-Fitr), which finalizes the Muslim sacred month of Ramadan fasting, fell on June 15. 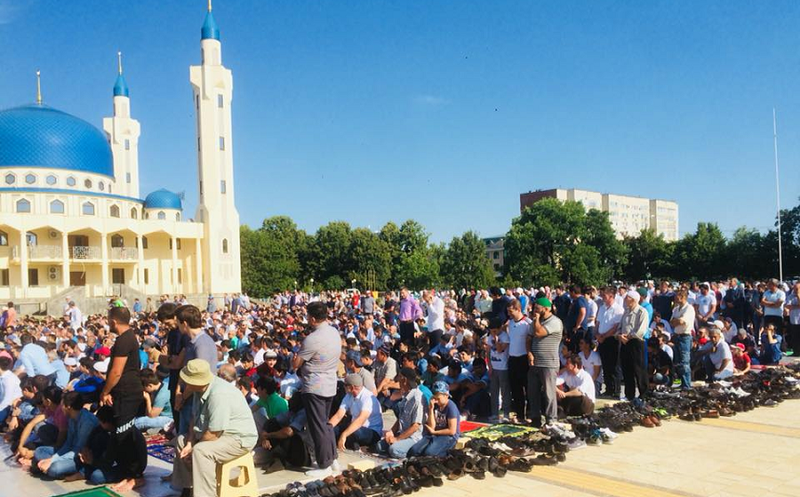 The Muftiate decided to hold namaz in Maikop under the open sky at the mosque because of the large number of participating believers. 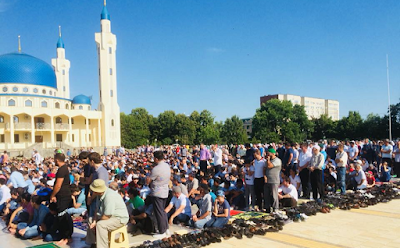 Outdoor prayers in a square or just in the field are a long tradition based on a Sunnah of Prophet Muhammad, said Eldar Cheuzh. 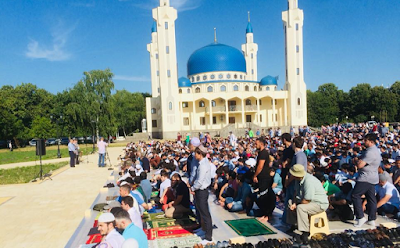 According to his story, the collective holiday namaz under the open sky was held in Maykop for the first time. He has suggested that Muslims from neighbouring localities, where there are no mosques and Imams, also came to Maikop for praying. 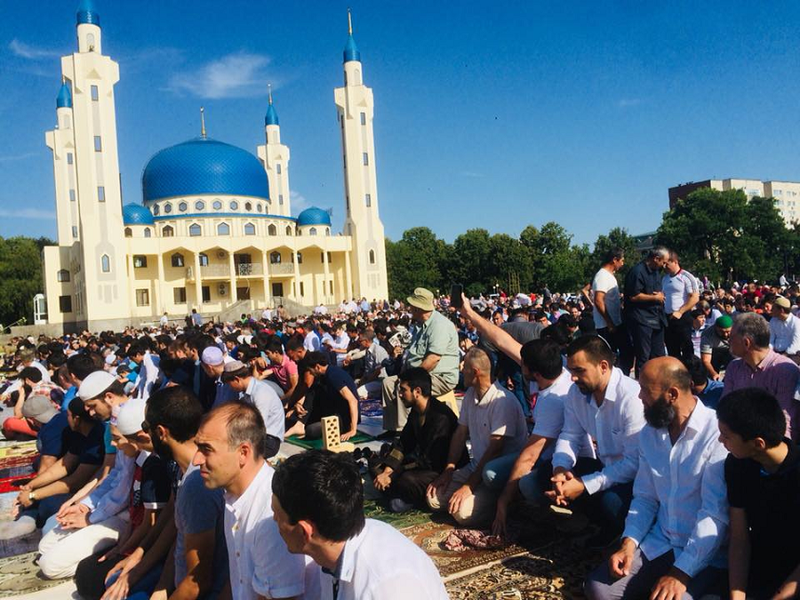 "Tourists watched the festive prayer with interest," the activist has added, treating the policy of Adygea's authorities towards Muslims as loyal. "Muslims are interested in showing the best aspects of them and of our religion without imposing it on anyone," Mr Cheuzh has stated.